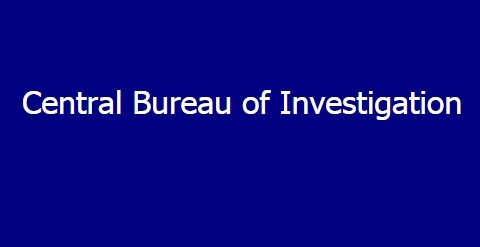 New Delhi: The Central Bureau of Investigation has registered a case against two former Executive Electrical Engineers; two former Senior Section Engineers; four other officials, all working in Railway Electrification, Jabalpur and one New Delhi based private company under sections 120-B and 420 of IPC and 13 (2) read with 13(1) (d) of Prevention of Corruption Act 1988. It was alleged that during railway electrification work awarded to the private company for Group No. 173B between Manikpur (Excl)- Satna (incl) and Satna to Rewa Sections, less construction of foundations of Electric Poles was done in comparison to the RDSO approved drawings but the said Railway officials dishonestly inflated measurements of foundations in the measurement books and in bills of the contractor and thereby provided undue pecuniary benefits to the private company. Another case was registered against the Executive Electrical Engineer; four Senior Section Engineers during the period in question; seven other officials, all working in Railway Electrification, Jabalpur and one private company based at New Delhi, under sections 120-B and 420 of IPC and 13 (2) read with 13(1) (d) of Prevention of Corruption Act 1988 on the allegations that during railway electrification work awarded to the private company for Group No. 174 between Satna and Jabalpur Section, less construction of foundations of Electric Poles was done in comparison to the RDSO approved drawings but the said Railway officials dishonestly inflated measurements of foundations in the measurement books & in bills of the contractor and thereby provided undue pecuniary benefits to the said private company. Searches have been conducted in both cases at 23 places in residential & official premises of the accused and official premises of Railway Electrification and other places including private company Jabalpur, Bhopal, Katni, Satna, Itarsi, Chhindwara (all in MP); Delhi; Jaipur (Rajasthan); Allahabad (UP); Jind (Haryana); Agra, Mathura, Muzaffarnagar (UP) which led to recovery of incriminating documents.